Dorset D P C - Builder, Damp Proofer, Plasterer based in Bournemouth, Dorset. 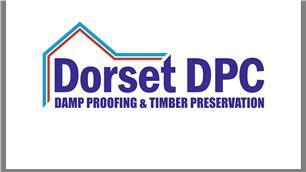 Here at Dorset DPC we are a local family run business in the field of advanced damp control. We specialise in the following treatments; Basement conversions, damp eradication, timber preservations, condensation control, mould control, wet rot, dry rot, chimney solutions, flood restoration, structural water proofing, wall ties, structural defects and plastering. As well as being specialists in the above criteria, we are also proud to offer a wide range of building services, professional planning, extensions and project management. With our commitment to customer satisfaction, we can project manage all our own work no job to small. Not only is our workforce fully insured we are also a vetted and monitored company. Customer feedback is extremely important to us, 100% of our customers are charged the same price as their quotation. Property and management agents may use our services, why not download our online booking APP.